July is right around the corner, school is out and America’s Birthday is on the horizon. When it comes to celebrating the 4th of July, there are plenty of different options across Montgomery County. Whether you already live here or are visiting, the holiday weekend is full of family fun and exciting community traditions. 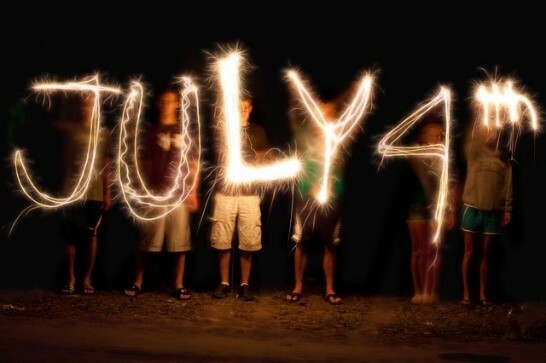 Listed below are some of our most popular events planned for the 4th of July. Let freedom ring with the exciting and event-filled Freedom Fest in the City of Montgomery. Being held Saturday, July 1st, this is a great way to get the long weekend started. The day begins with the Freedom Parade through historic downtown. Then enjoy the sights, tastes and fun of the Crafter’s Market, Baking and BBQ Contests, and of course, the Freedom Fest Kids Zone. The Woodlands has a variety of other events throughout the holiday weekend. Beginning July 3rd with the Star-Spangled Salute concert at The Pavilion. 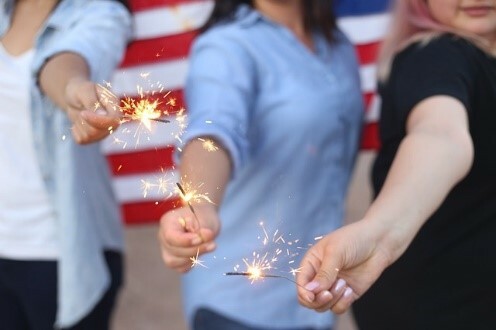 On the 4th, there is there is the South County 4th of July Parade, and perfect for the heat of summer, Splash Day at any one of The Woodlands community pools. The Things That Go Bike Parade is another chance to decorate your bike and celebrate. The really big event of the day however is the Red Hot & Blue Music Festival and Fireworks Extravaganza, which is taking place at various parks between Town Green Park and Hughes Landing. Enjoy an afternoon of family fun, while helping support a good cause. Head over to the Rob Fleming Aquatic Center in The Woodlands for the 10th Annual Crisis Assistance Center Duck Derby. Cheer on as over 5,000 rubber ducks will race across the water. You can get in on the fun by sponsoring a duck of your own for just $5.00. You can also get an early start on the 4th of July with the 14th Annual Burn Your Buns Bike Charity Bike Ride. The ride helps raise fund and awareness for Birchwood Farms, a community support program for families and individuals dealing with developmental challenges. 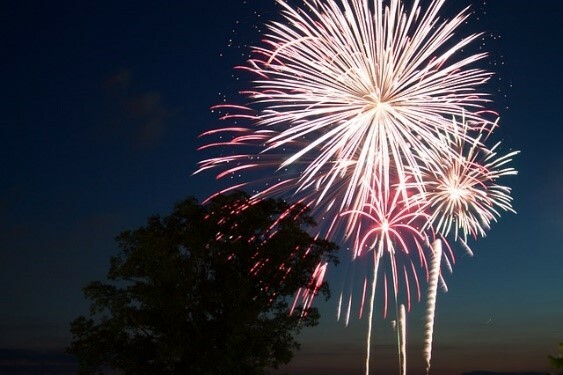 Enjoy spectacular fireworks over Lake Conroe at 4th of July on the Island. Boats will be on parade and live music on hand throughout the day. The Fireworks display will light up the lake, making it a night to remember. Whatever you decide to do to celebrate, I hope you have a safe and fun 4th of July weekend. Conroe and The Woodlands are wonderful places to call home. With the variety of holiday events and gatherings, there is a strong sense of community which you can rely on. If you are ready to buy or sell your home, you can rely on REALTY TEXAS LCA, Inc. We’re here to help you with all of your real estate needs! Call me, Laura Austin, at (281) 789-2911 or (936) 321-2977, or email me at Laura@RealtyTx.net. You can also visit me at my website for available listings and additional information.